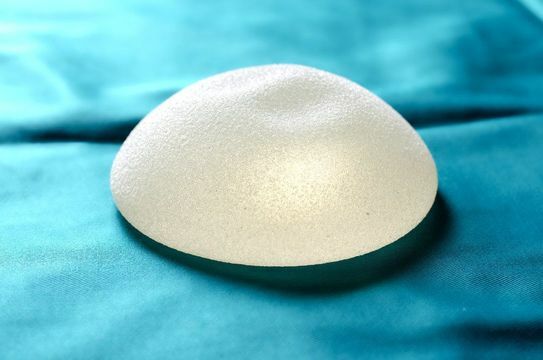 Breast augmentation can help you achieve a fuller, more attractive bust. During the procedure, Dr. Stephen P. Hardy will use implants to increase the size of your breasts. As a highly experienced surgeon with exceptional skill, Dr. Hardy can utilize a number of different incision types to minimize scarring. We take a personalized approach to all procedures, so your breast augmentation will be customized based on your unique goals. Pregnancy, weight loss, and the natural aging process can all cause breasts to begin to droop. Breast lift surgery is designed to restore a patient's youthful contours. During the procedure, we will remove excess tissue and tighten skin around the breasts to create a perkier bust. It is also possible to combine a breast lift with an augmentation for more dramatic results. Undergoing breast reconstruction after mastectomy or trauma can help restore a patient's feminine figure and self-confidence. Dr. Hardy is widely respected throughout the country for his outstanding skill performing reconstruction procedures. Depending on your needs, he can use your own tissue or breast implants during the procedure. Furthermore, he can also combine techniques. Disproportionately large breasts can not only affect a patient's self-confidence, they can also be uncomfortable and lead to health concerns. During breast reduction, Dr. Hardy will carefully remove excess tissue and fat to give you smaller, more proportionate breasts. If needed, he can also reshape and resize your areolas. Patients at Northwest Plastic Surgery Associates can choose between saline and silicone breast implants. There is no such thing as the "best" type of implant. Rather, the type that is right for you will depend on your treatment goals, body type, and budget. Both types are available in a range of sizes, and we can review the unique benefits of each during a personal consultation.